July – hot summer days and nights. They are an inspriration for every desginer (inside and outside of SL). Where ever you go you see lovely summer dresses swinging. 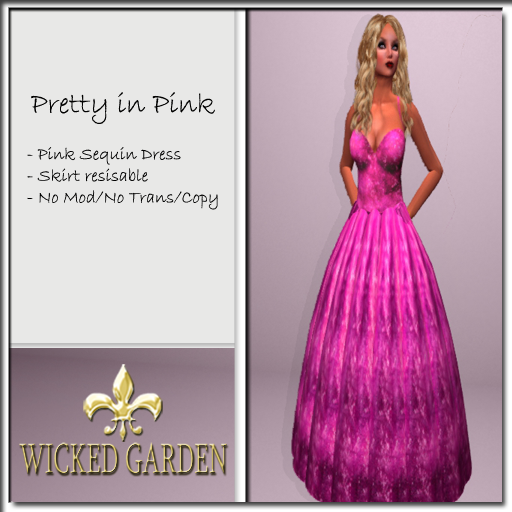 So for SL I decided to make a Dollarbie – a dress called Pretty in Pink. The dress is a homage to the film. But I also know – every girl must have at least one pink item in the wardrobe. If you don’t have one yet, go to the shop and grab yours here at the *Wicked Garden*.